Marvel continues to unwind the Marvel universe. It’s now down to a few worlds where the battles will supposedly redefine the comic-world. 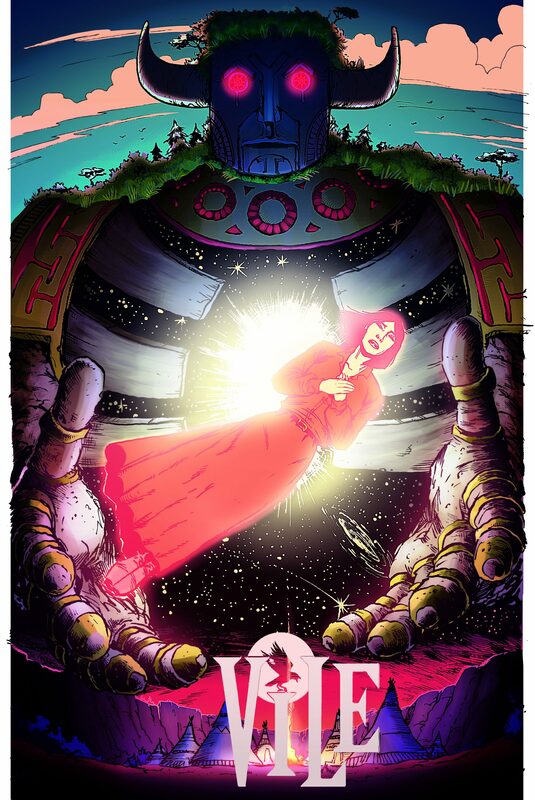 Battleworld is now composed of several quite campy worlds. If you’re interested in knowing more, check out the interactive map below. 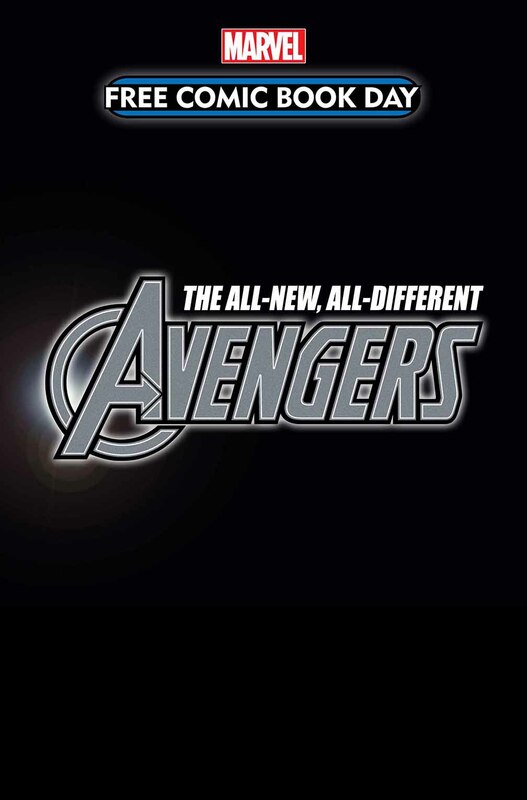 New York, NY — February 3rd, 2015 — The Marvel Universe is no more. There is now only Battleworld and Marvel.com is the only place where you will be able to learn about the building blocks of the new Marvel Universe. Marvel, as many of us know by now, is blowing up the Marvel universe with the incredibly innovative and groundbreaking Secret Wars NEW and Battleworld. (It’s so hard to chew my breakfast with my tongue shoved so far into my cheek.) To help nurture this “End of days” story arc, Marvel is offering Secret Wars #0 and All-New, All-Different Avengers FCBD. For those of us that enjoy a handful of Marvel’s titles, this is a sad time. I would like nothing more than to see the new Disney-Marvel universe implode and then explode into oblivion. But, I’m afraid of what will fill the vacuum. More of my ramblings and anti-Marvel writing to come. In the meantime, please have a look at the covers sent on to me from Marvel and read their full press release below. 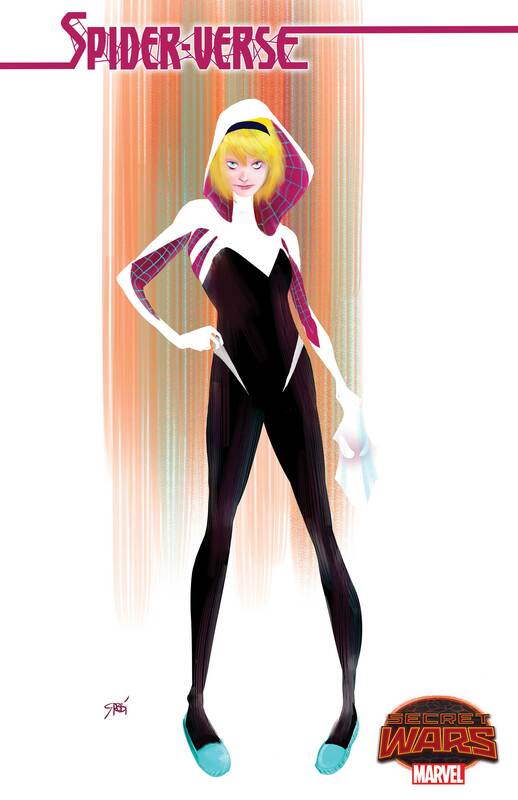 Today, Marvel is proud to officially unveil its two stellar, can’t-miss Free Comic Book Day offerings for 2015! This May, prepare yourself for the kickoff of the biggest comic event in Marvel history, and a special preview of Marvel’s future in Secret Wars #0 and All-New, All-Different Avengers FCBD! 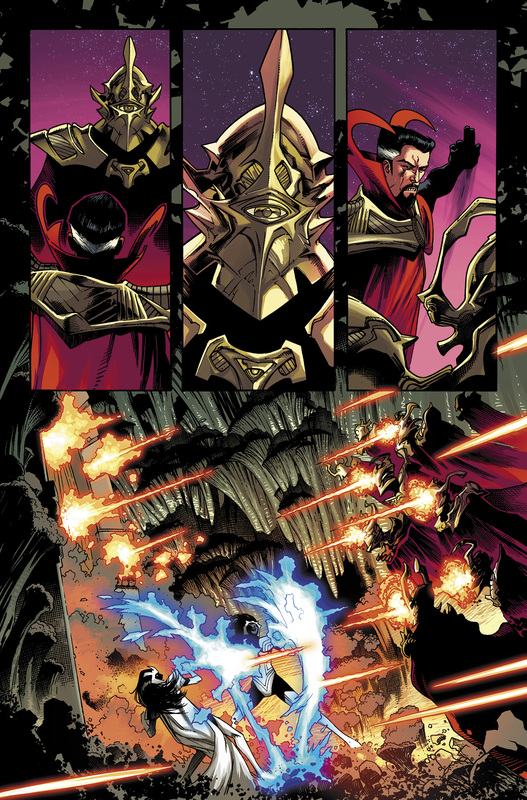 First, Secret Wars #0 brings you a prologue to the most important comic series of 2015! From the all-star creative team of Jonathan Hickman and Paul Renaud, get caught up with the perfect primer for the mega-event of the year, just in time for Secret Wars #1 to hit comic shops the very next Wednesday! 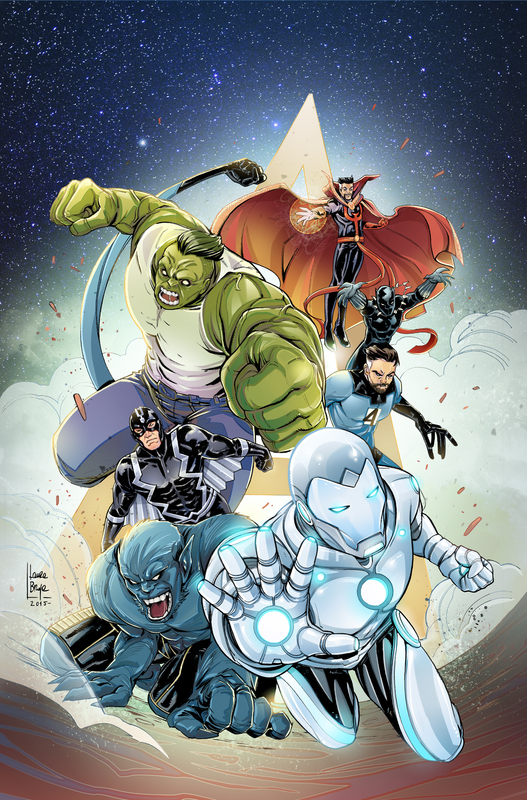 As a bonus, Secret Wars #0 will also contain a special presentation of “Attack on Avengers”, the sought after 8-page Avengers and Attack on Titan crossover, never-before-released in the United States by Attack on Titan creator Hajime Isayama with art by Gerardo Sandoval! 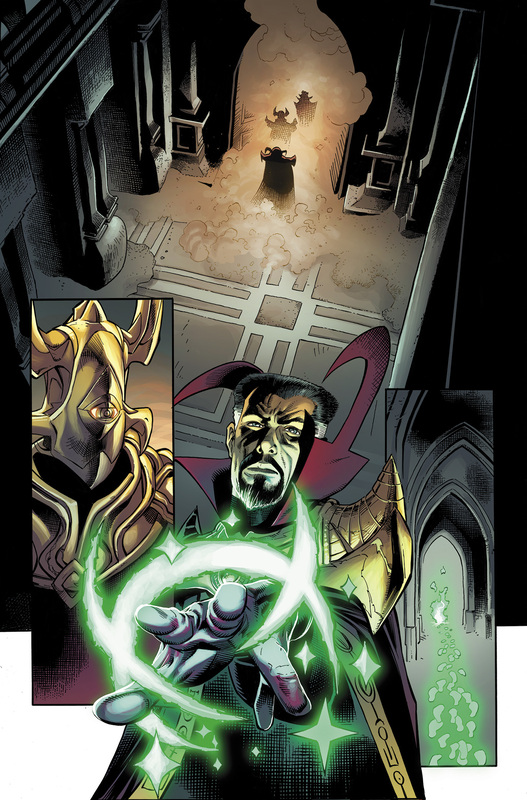 Then, get ready for a look into the world that’s coming with All-New, All-Different Avengers FCBD! It’s your first taste of the all-new Marvel Universe as a blockbuster top secret Avengers creative team sets out on a new adventure that will have fans begging for more! Who will be Earth’s Mightiest Heroes when the dust settles from SECRET WARS? Find out here! This special issue also includes a brand new bonus story by blockbuster writer Charles Soule that previews one of the biggest new titles of 2015 – Uncanny Inhumans! 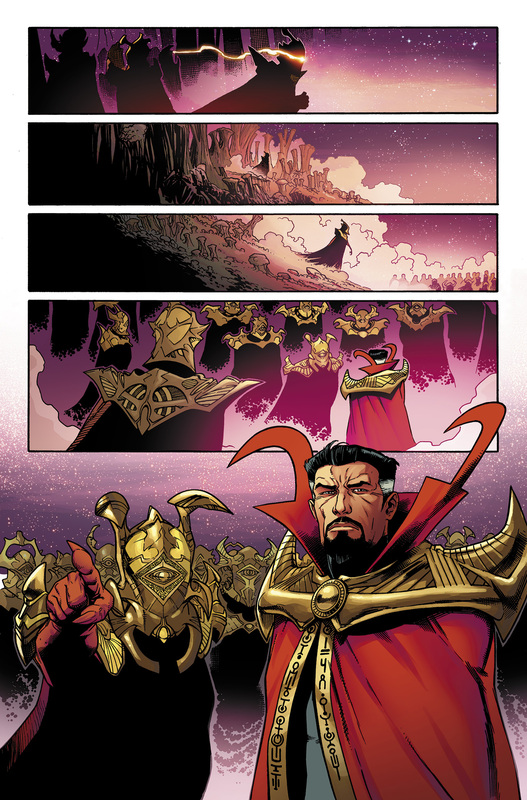 This May, the opening salvo of Secret Wars is fired and the Avengers of tomorrow take shape. No fan can afford to miss this year’s FREE COMIC BOOK DAY – May 2nd at participating comic shops nationwide! The Marvel Universe is No More! The Ultimate Universe is No More! 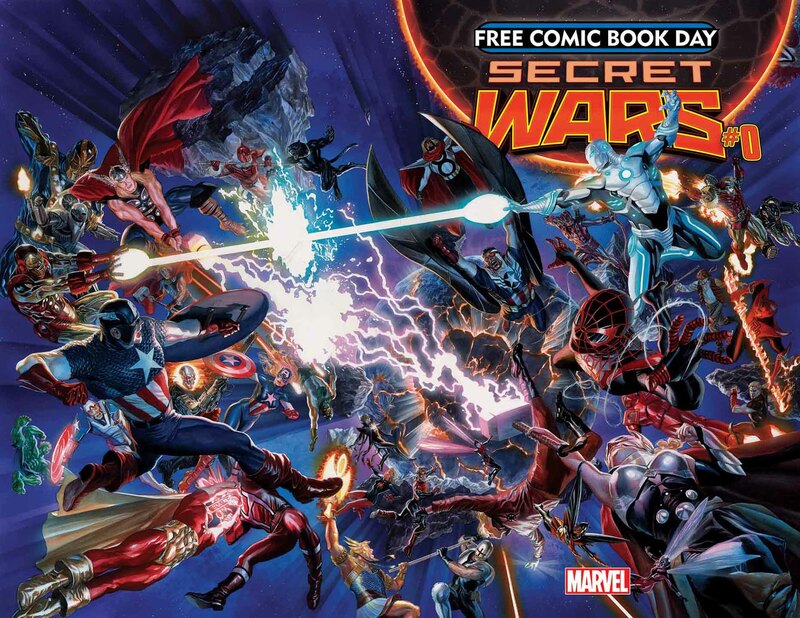 Relive the Entire SECRET WARS LIVE KICKOFF! 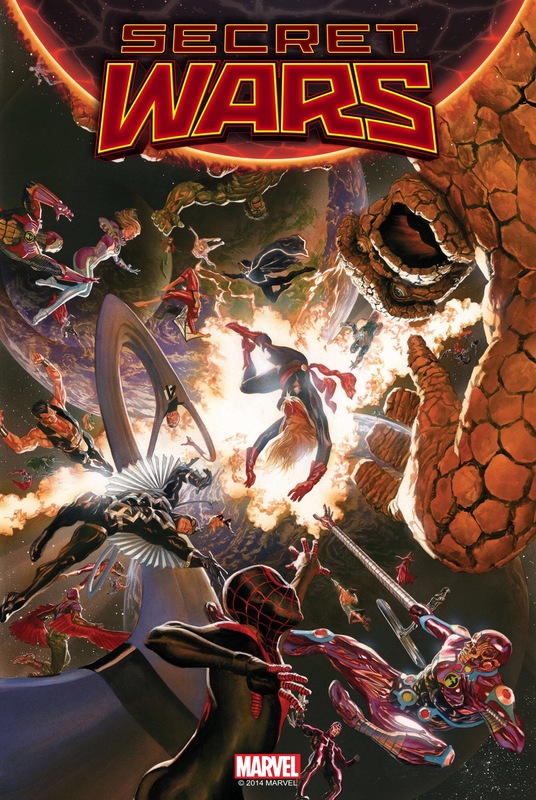 New York, NY – January 22, 2014 – Time has run out for the Marvel Universe and Ultimate Universe as the destruction of two universes brings forth the forging of a new Battleworld. Now, relive the monumental announcement by rewatching the entire SECRET WARS LIVE KICKOFF in its entirety. Streamed live from New York’s own Midtown Comics, witness Marvel Editor-in-Chief Axel Alonso and SVP, Executive Editor Tom Brevoort discuss the first details of Battleworld and the destruction and end of both the Marvel Universe and the Ultimate Universe.